My Father David Walsh, was born in Camp St. The shop still stands in the main street. My Grandparents were John (Sean Guy) Walsh and Ellen Walsh ( née Brandley) Sean Guy worked on Lough Corrib as a “Bailiff” after running a shop in the Main street of Oughterard which he lost after the crop in the area failed, I am told he continued to supply his customers with goods after the crop failure and of course he ran out of money, the shop still stands in the main street. Sarah Ann Healy (née Walsh ) Paud, Johnny, Michael (Died aged 12), Peggy (Died aged 15) Mary, and Peter. Sarah Anne, Peter and Mary still visit Oughterard from time to time. My first cousin Mick Healy has the shop near the bridge on the way out of town. I am also related to the O’Toole family, Michael and Kevin well known to the people of the town. My Family roots are deep in the area, My Great Grandparents were David (b 1846) and Sarah Walsh (b 1855) lived in Finnaun, Killannin, working as herders. They had 5 children, John (Sean Guy ,b 1870) Thomas (b 1879) Mary (b 1880) Peter (b 1882) and Maria (b 1884).I am told that some of the children immigrated to Boston but I am unable to confirm this or find out anything else about the family. I have visited Oughterard twice, the last time being in June 2010, and will be back as soon as I can. I am posting a picture of Sean Guy. My Father David is already in the photo of “The Mayfly Market”. I am very proud of my Irish heritage and would appreciate any information regarding the family anyone has. I hope to be able to keep contributing to this website . This page was added on 03/04/2011. 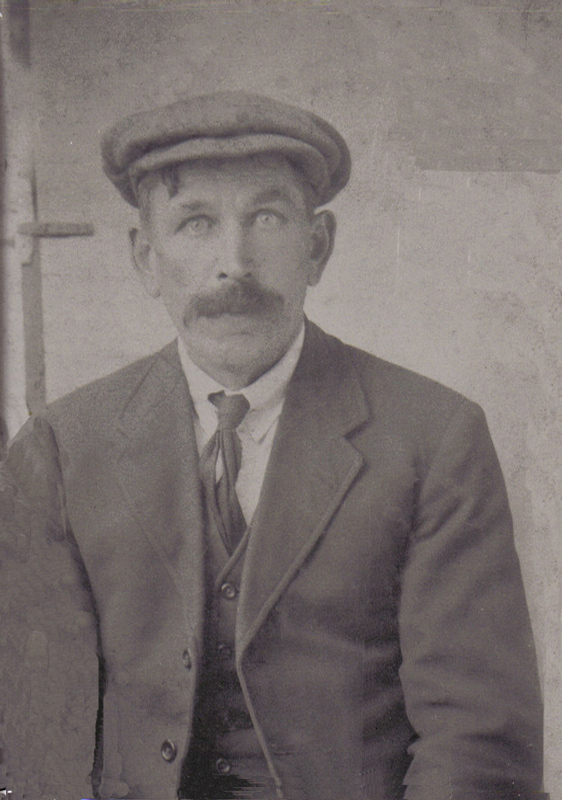 Hi, My Great Grandfather, Peter Walsh (b.1895), was from Oughterard, and immigrated to Chicago in the US in 1925. We had thought that all of his siblings immigrated to England. I don’t have any contact information for family still in Ireland. Is it possible that my Great Grandfather was related to your family in Oughterard? We are coming to Ireland next month and would love to visit while we are there. Hi all my name is Chris Thain, Mary’s second son and came across this page when clearing some of her memorabilia as she passed away last year. I remember as a child visiting auntie Sarah in Birmingham so have met all her children, — I think ! My name is Kouy. I live in Reading England. My great uncle is Peter Walsh, who funnily enough told me to google John Walsh so I could read about what he did and u stumbles across this. My Uncle Pete is a lovely man and up until a few years ago still travelled to visit Ireland with his sister Mary. Unfortunately due to health and age my uncle Pete is no longer able to travel. my uncle Pete married my auntie Dorothy Hawkins who has just sadly passes away. They were very much in love and were a pleasure to be around. Sarah Walsh who married David Walsh, was my Gt Gt Grand Aunt (a sister of my Gt Gt Grandfather). She came from the village of Muckanaghkillew. She and David married 25 Oct 1866 at Camus Chapel. I’ve reached out to Dennis Walsh who started this page — I have lots of info on the family, and would love to connect. Hi Lisa, I am sorry for your loss. This shop looks like it has a lot of history, I have met Mattie both times I have been to Oughterard. Mick just lost his Mum Sarah Anne aged 95. I guess we are related. Good health to you. Hi was reading the above your cousin mike Healy was my late fathers kevin mccarthy’s cousin too and the shop he has was previously owned and ran by one of my favorite uncles Matty (Matthew) Healy mikes dads brother patricks son I used to serve behind that shop as a kid for years last visited oughterard back in 2006 it seems such a long time ago . Well written dad! Very interesting information here – I didn’t even know about the shop!